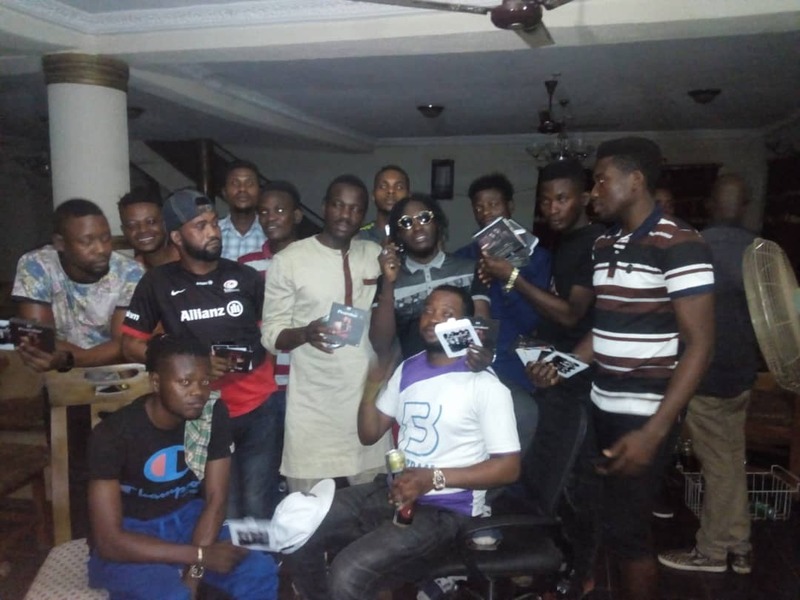 Fast rising Ondo Born artist, Promise Oluwalademi, host some of Ogun State Djs at his residence in Abeokuta home in Ogun State capital. He is no doubt a record breaker as he has also released two smash hit songs titled 'Key' and 'Greatest' where he featured an artiste, Oliva who is signed to his record label, Shamma record. The Ogun State Association of DJs lead by their State Chairman Olokede Saheed popularly known as DJ Reflex has pledge their supports for the upcoming artist yesterday at his residence. It was was peaceful meeting where all the members showed their loved for the fast rising act and also promised to play his music in all Bars, Clubs, events and media houses. However, PROMISE showed his gratitude for the honour bestowed on him, He appreciated the fact that his invitation was honoured. He prayed God will honor them too. The key crooner state the reasons why he invited them to his house and not bar, he said he wants to build a strong relationship with all Ogun DJs, he want them to be a one big family, because without djs artists are nothing so i pleaded to them all to support him and my talent. Furthermore, he will be releasing a song featuring Nigeria's finest female artiste, Teni titled Slow wine on Friday, 25th of January, 2019 and urged fans , DJs across the globe to watch out for it.